If you’re anything like me, when you’re on a plane and the safety briefing comes on, you switch off and focus on your magazine (or screaming child!). But you probably know the bit that says “put your own oxygen mask on before your child’s”. Most women I know could learn from this. We tend to put everyone else’s needs before our own. So much so that we can end up exhausted, burnt out and at rock bottom before we actually take care of ourselves. Chances are the demands on your time and energy are already copious. If you’re returning to work those demands will likely increase. If you're also a mother, at this time of year when kids are back at school, it seems there are 101 small things to remember and this can feel exhausting. If you’re running on empty though you’ll struggle to truly enjoy life and be at your best. When I returned to work after my maternity leave it took me a throat infection that lasted two months and a shaky tremor in my hands that wouldn’t go away before I realised I was no good to anyone if I wasn’t looking after myself. 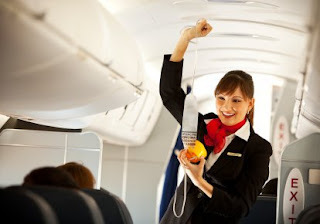 So stop, just for a couple of minutes and think – what’s my “oxygen mask”? What 3 things could I do to take better care of myself? Take a walk outside in the fresh air – ideally in a green, open space – spend some time in nature. Try to stroll and enjoy your surroundings. Do exercise that you enjoy – highly energetic or reflective – just about any exercise will tend to do the trick! Have a chat with a good friend – just ask them to listen to you for a bit – and feel free to ramble. Rediscover a hobby or creative interest – watercolour painting, playing the piano, swimming, stamp collecting…..just something you enjoy! It can help if you are learning a new skill and where you are so involved in it you haven’t got room for worrying about anything else. Get some extra sleep – go to bed early for a couple of nights, switch off electronic devices at least an hour before bed time, have a bath before bed. Sit down for 15 minutes to have a cup of tea – and don’t do anything else! Have an ‘electronic-free’ day – the incessant pull of technology can be draining. Switching it off can enable you to switch off for a while and literally ‘recharge’. Cut out something in your life. If you had 5 fewer hours every week what would you drop? Give yourself some breathing space. If you can afford it, have a massage. Laughter is the best medicine. Watch a comedy or play silly games with your kids. Meditation or mindfulness may not be everyone’s cup of tea. But simply sitting with your eyes closed in a comfy position and focusing on taking deep, slow breaths can do wonders. Listen to music - sing along to your favourite song. The next time you are feeling overwhelmed, when you know you are not at your best but are relentlessly pushing on, remember to put on your oxygen mask first.